After the talk I gave on #FOAM Geoff Hinchley (who you can see here) asked the St.Emlyn’s team to put together a really short intro to getting involved. So, with the aim of keeping this really simple and really quick, here is our 6 step guide to getting started. [learn_more caption=”Step 1: Get a Linkedin profile”] As a professional, and a highly paid one at that having a professional presence on the web is important. Linkedin is a great place to start as it is really about your professional work. In this day and age all sorts of people will look for information about you as you apply for jobs, meet patients, go to conferences etc. You really should put up a brief profile that allows you to present yourself in a way that you want. If you don’t do this then you leave a bit of a vacuum and that’s not ideal. It’s much better to influence what the web says about you rather than wait for google to find you via news reports (which may not always be as favourable as you wish). This is my profile as an example. Follow this link to get yourself started. [/learn_more][learn_more caption=”Step 2. Join twitter and follow some people”] Twitter is easy to join. Follow this link to sign yourself up and start following some interesting people. Twitter can be used in many ways, but I like to think of it as a news feed, a way of finding out what is current and as a device to direct me to more substantial learning. You can also use it for personal stuff, but I find that most people find it helpful to split off personal stuf on the web from professional work. I think that’s good advice and so if you want to use Twitter for learning then set up a new account with that in mind. You then need to start to follow a few people who will help point you in the direction of high quality information. For suggestions you can look at some of the lists that people have put together of high yield EM tweeters. I would suggest that you look at the following list from Andy Neill in Ireland. You can also look at my list of UK/Eire EM docs – I only put this together today so I know I’ve missed loads of people. If you want to be on the list or spot an important omission let me know. Once you’ve found a few people who share your interests then you can look at who they follow and build your own list from there. My advice is don’t go mad at the beginning. Go for high yield people. [/learn_more][learn_more caption=”Step 3. Follow some blogs”] There are lots of blogs out there, far too many to mention here and your choice of what to go for will depend on your interests. My advice is to head over to Life in the Fast Lane to see the variety of topics available. Or how about this list…. Need to get your critical appraisal in order – EMLit of note is fantastic. and so many, many more. I’m going to have to stop at some point, but loads of other stuff out there, boringEM, EMBasic, ECG stuff…..basically a library at your fingertips. Just dip your toe in the #FOAM and see what you like. There is something here for every EM physician. Try subscribing to a few blogs so that you get a regular update when new posts arrive, and an absolute must is to look out for the weekly life in the fast lane digest (usually) by Kane Guthrie. If you do nothing else follow that. [/learn_more][learn_more caption=”Step 4. 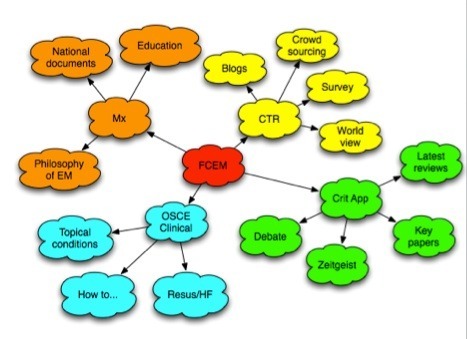 Visit GMEP”] To see how FOAM can come together to realy share resources and learning you must visit GMEP and see how an open access version of EM education can work. Compare this to closed, difficult to access projects like enlightenme in the UK. 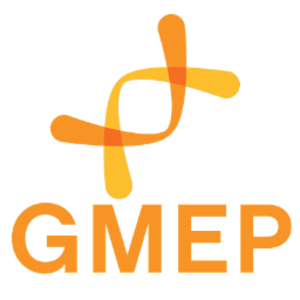 Social media and now GMEP really shows what collaboration can do without the need for rigid controls or duplication. [/learn_more][learn_more caption=”Step 5. Get organised.”] If you’ve ever put washing up liquid in a fountain you will realise that too much FOAM is a problem. If you’ve got this far then you will have found several areas of the web that you’d like to keep an eye on. You need some help in bringing it all together into an easily digestible form. Wouldn’t it be great if someone else could collate all this for you……., well they can – but it’s you. There are a whole variety of free and easy to use programs out there that collate feeds from blogs/twitter/podcasts to a single place with content specified by you. Think of it ias a bespoke journal of content that interests you. I use feedly to do this. 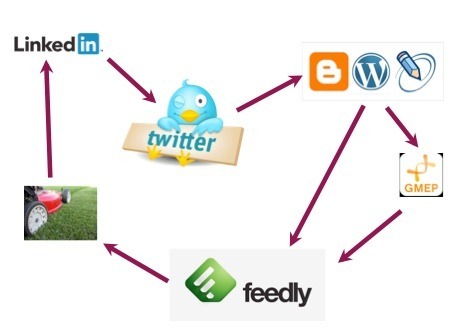 Basically I tell feedly which sites I am interested in, feedly collates the posts and organises it into a little magazine that I can see on my computer, smartphone or iPad. This revolutionised my ability to keep up to date with the literature. It’s not just blogs that feed in, but also contents and abstracts from journals, news feeds, the works. A one stop shop for web based learning that is bespoke to me. There are more readers out there, I also use Flipboard on the iPhone but look around and see what you like the look of. [/learn_more][learn_more caption=”Step 6. Mow the lawn”] Mike Cadogan describes social media as a garden. It’s a good analogy. So in summary we can think of starting out as a bit of a cycle. Not a difficult one, but one that will revolutionise the way that you access and consume EM learning. And for anyone thinking about FCEM, just think of the possibilities that #FOAM can bring to your preparation for the exam. There is loads of stuff out there for you in those horribly cramped months leading up to the exam. Next: Next post: Something for the weekend, Sir?